Do you have a few days off and want to know the capital of Chile? 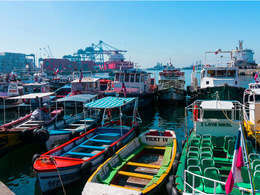 This is the ideal trip for you! 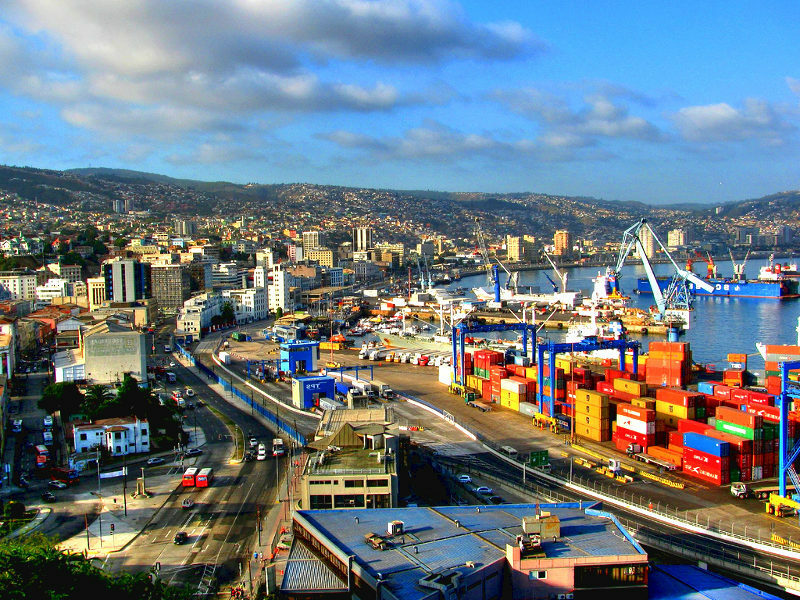 Besides being able to enjoy Santiago, a cosmopolitan city and at the same time with many places of historical interest, you can visit the city of Valparaíso, a place that surprises both for its port and the unusual architecture that we find. Pick up at the Santiago Airport and transfer to the hotel. Pick up at the airport at the scheduled time and transfer to the Time Select Hotel. Buffet breakfast served at the hotel restaurant. City tour around the city visiting the main tourist attractions. 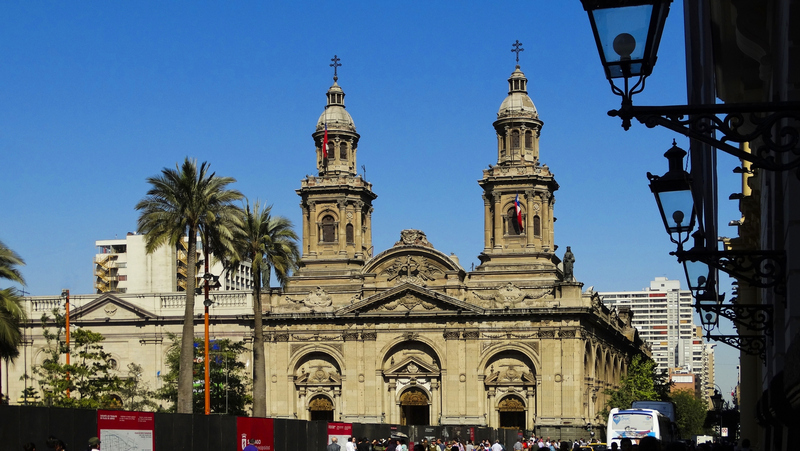 Santiago is a mix between the old and the modern. 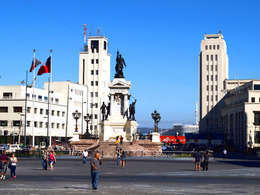 Our tour of Santiago will show us the city, its varied geography and urban buildings, where our guide will introduce us to the Plaza de Armas, the Cathedral, the Post Office and the Municipality of Santiago, in the latter we will see the point of origin of the city. 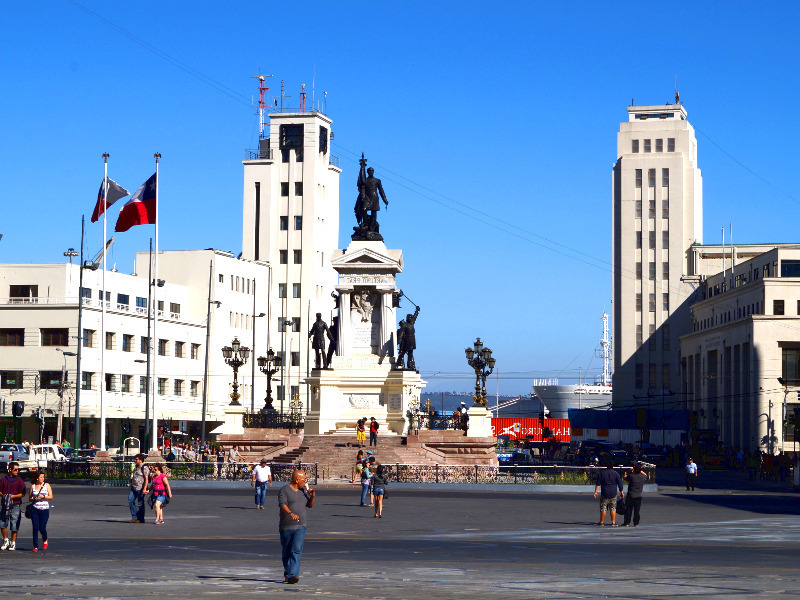 Our trip will continue through the Government Palace La Moneda and some old neighborhoods of Santiago, such as Plaza Concha y Toro. Later, we will go to the east where we will see modern buildings and the changes they have brought to the neighborhoods; We will end this excursion in a craft shop (Faba), located in an exclusive neighborhood, where we will appreciate, with a Pisco Sour, the pieces of lapis lazuli, stone existing only in Chile and Afghanistan. 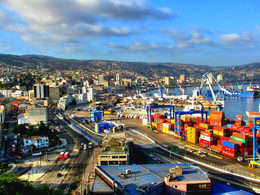 We will start our tour from the hotel, on a 120 km journey (to the Pacific Ocean) to Viña del Mar. Our "Garden City" will captivate us with its architecture, its streets, palaces and Quinta Vergara. We will also have the opportunity to visit an Easter Island Moai and a lapis lazuli craft shop (Faba). 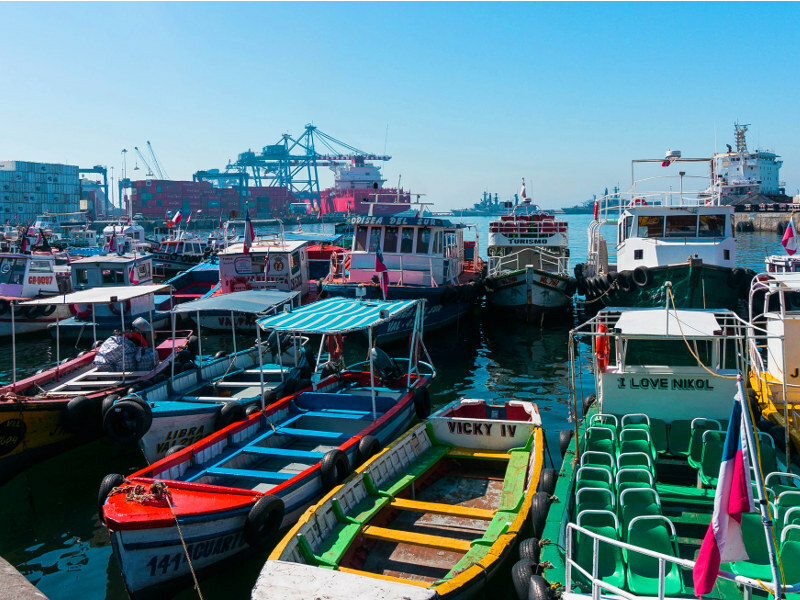 Finally, we will visit the Plaza Sotomayor and the port, where we will enjoy a boat tour along the coastline visiting the port of Valparaíso, whose origins date back to 1536 and was declared a World Heritage Site by UNESCO and seat of the Legislative Power . A magical city, with picturesque lifts, colorful neighborhoods and unique and unforgettable landscapes. 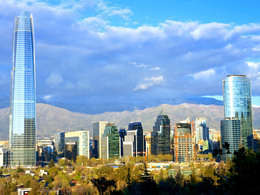 In the afternoon I return to Santiago. Pick up at the hotel at a fixed time and transfer to the airport. Hotel in the city of Santiago.